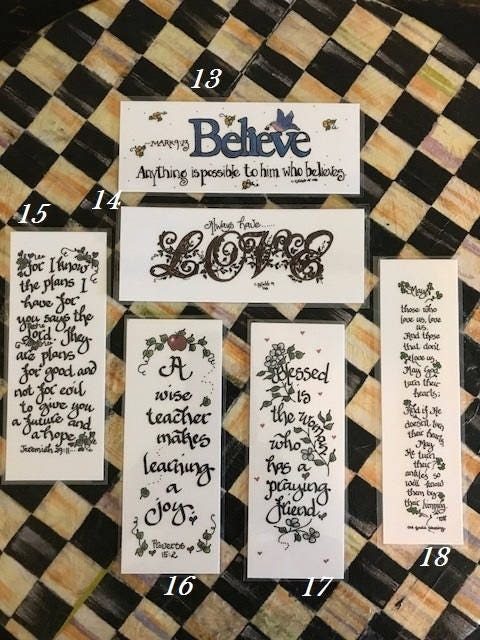 I created each bookmark, listing is for bookmarks #13-18, some quote scripture. Great item to enclose in a greeting card, gift, or a party favor. 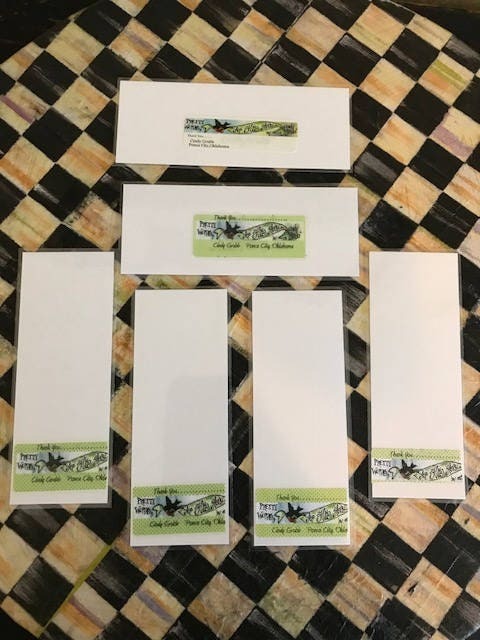 Each bookmark is approximately 6"x 2.25"
I have 68 designs available! Shipping to USA, Canada & International. Approximately 25 will ship 1st Class USA (under $3.00), for same price as one, postage on website requires a minimum cost. CANADA shipping rate is same if ordering 1-50. Etsy automatically estimates shipping. I will also combine shipping to one package or box, If shipping as a gift please send a note with order. Please ask, if you have any questions.